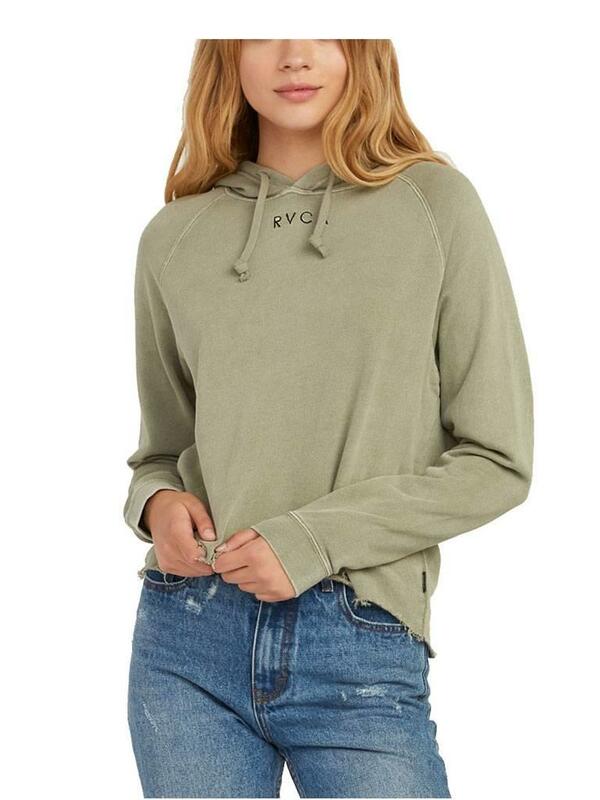 The RVCA Pisces Fleece Sweatshirt is a french terry sweatshirt with a pigment dye and silicone softener wash. The RVCA Pisces Fleece Sweatshirt is a french terry sweatshirt with a pigment dye and silicone softener wash. It has a pullover design with a RVCA logo at the neckline and drawcords at the hood.